Change your mustache and beard in this stunning Mustache and Hair Style changer application. Try these amazing collection of amazing beard styles and mustache styles. Change your hair style and mustache in few seconds by using our man hair mustache style changer application. Hair plays a very important role in a man’s life. Mustache give a royal look to men. Feeling bad because of less hair! Use this app and give a very smart and handsome look to your images. – Collection of beautiful hair and mustache / Beard styles. – All hair / mustache / beard styles designed to fit to any face. – Different pattern and colors of hairstyles. – Multiple mustaches we have provided, so that you can choose the best one. – Stunning mustaches, to choose and apply. – Amazing styles of beard. – Scaling tool to increase or decrease the size of any beard you have applied or even the mustache. Save and share these fantastic new images with your friends and family via social networking platforms like Instagram, Facebook, Twitter and more. Try specially designed hair and mustache styles maker now! 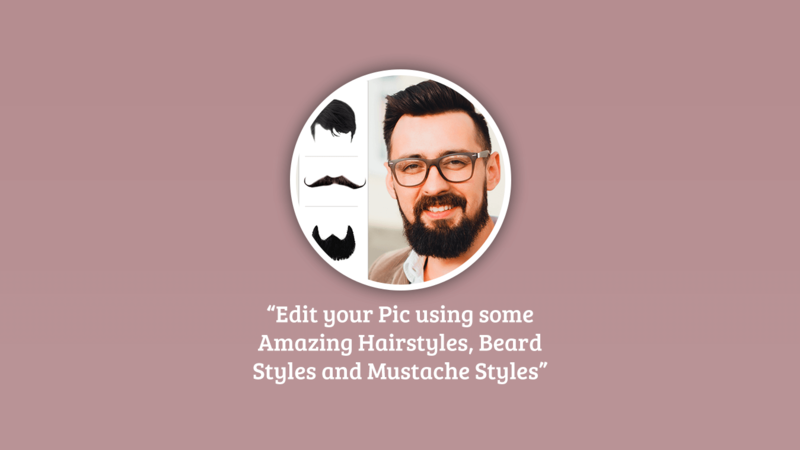 Download it today and enhance your photo with our amazing hair / mustache / beard styles. We’d love to hear from you. If you have any concerns, feedback, or questions email us. © 2017 My Express Apps. All Rights Reserved.